In this November Newsletter, you will find information on all the latest product releases and up and coming partner events. 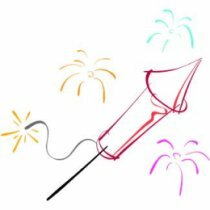 We wish you all an enjoyable and safe bonfire night on Friday. eSys - an in-depth look and why you should be using it. 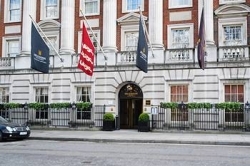 We would like to invite you to the launch of the snom ONE PBX which is being held at the Millennium Hotel London, Mayfair, Grosvenor Square, London. W1K 2HP on Wednesday 24th November. It is referred to as an all in one product because this new phone is not only a phone but a complete small office phone system. The DX800 acts as the control unit for the office. DECT handsets register to it to become extensions on the phone system. 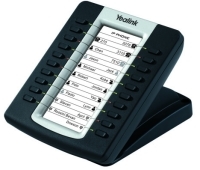 As well as being a SIP phone, the DX800 also has an analogue and ISDN2e phone line for inbound and outbound calling. Additionally it has an FXS port for either a fax machine or analogue telephone. When combined with the ProVu end-point provisioning and management system, this makes for a great opportunity for ITSPs and IT consultants alike. The Gigaset DX800 will be available to order from the end of November. In conjunction with our London based partners - Spitfire, we are holding a one day SARK accreditation course at the Spitfire offices in Vauxhall. This accreditation course is for resellers interested in selling the ProTalk telephony solution. It is tailored for system installers, consultants and support personnel. This course is a must for any reseller interested in offering PBX systems and telephony services to their customers. eSys - what is it? eSys is our online ordering system that feeds your orders directly onto our system. The esys system helps minimise the risk of errors. Techmesh are a not for profit organisation, supported by the Regional Development Agency Yorkshire Forward. They are set up to be the business network for the IT and Telecommunications sector within Yorkshire and Humberside and allows businesses within this sector to meet, exchange and share information. We believe that Techmesh will allow us to meet people and organisations in the IT and telecoms sector whithin our region and forge stronger links with them, we are very excited about doing so. If you are in the region come and meet with us at the next Techmesh event. If you have any feedback on any of our developments please feel free to let us know.